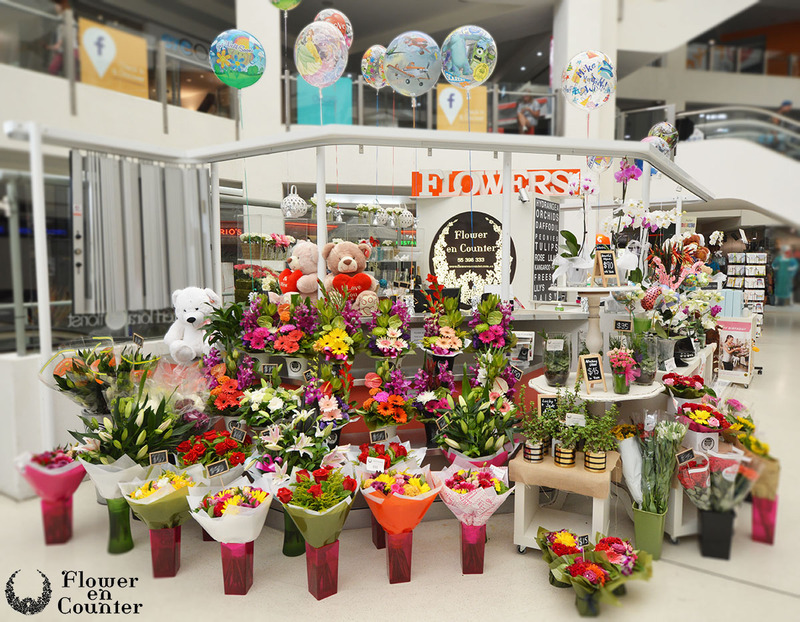 Flower en Counter is one of leading Gold Coast florists with an award winning floral designer. Specialising in gorgeous bouquets and arrangements for all occasions. We are known for our beautiful display of fresh flowers in store, along with a comprehensive range of gifts. We deliver direct to all locations across the Gold Coast, and can arrange delivery across Australia and overseas through our network. Online orders welcome using our secure site where all major credit cards are accepted or come into our store in the Oasis Shopping Centre in Broadbeach. We are open 7 days a week, excluding public holidays. We would also love to arrange flowers for your wedding, corporate event, regular office or hotel displays, romance packages or funerals. Please call us to discuss your specific requirements. We have invested in building up our own dedicated website without using third-party networks or hosted shopping carts like most other florist websites, so your orders come direct to us in store.